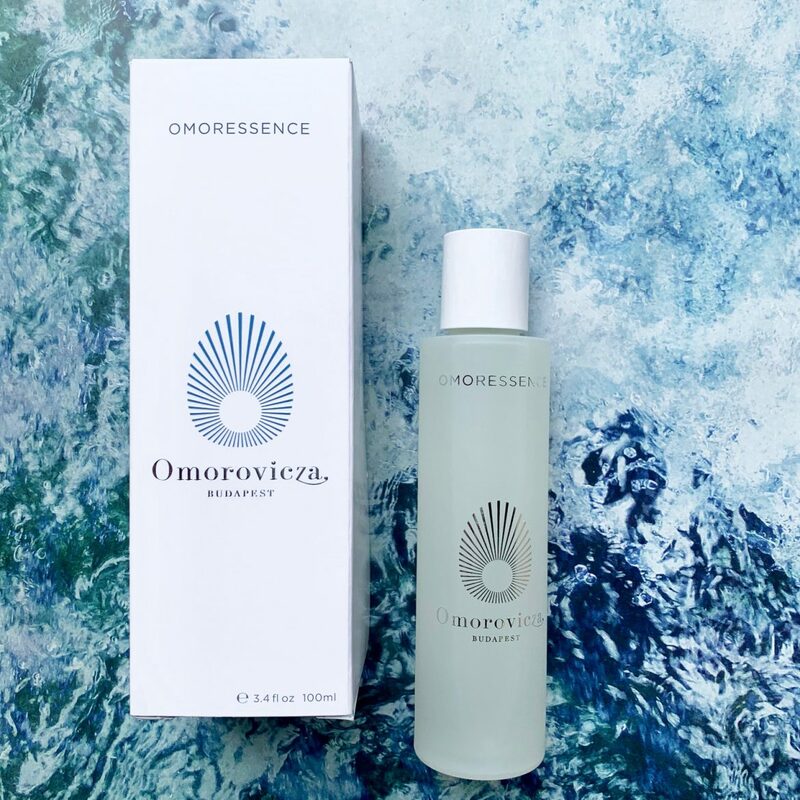 Boost hydration with this Omorovicza Essence! Ooh, I really like this essence from Omorovicza… (actually I’ve liked pretty much everything that I’ve tried from this brand, you can see our review of their Thermal Balm here and a feature including their mist here) Generally I’ve adopted a ‘less is more’ skincare regime… not because I don’t love products… because I really do… it’s more because I feel that my skin responds well to less products, but super effective products. So, as you can imagine I wasn’t really looking to add an essence to the mix. Actually, when it comes to my routine, it’s generally a cleanse, serum or oil and moisturiser routine. So while I’ve tried the occasional essence this is one of the few that I’m really enjoying. I’m really not surprised that it’s won awards. Originally coming from Korean Skincare essences are lighter than serums and are designed to hydrate, nourish and restore ph balance. Many essences contain ingredients like hyaluronic acid, micronutrients, Aloe Vera and more. Well apart from the hydration etc… mentioned above, essences are said to help to improve the skin barrier, as well as amplifying the effects of your serums, face oils and moisturisers that you apply afterwards. This lush essence smells gorgeous and definitely adds to the feel-good element of a conscious cleansing routine. This blend contains amongst other ingredients amino acids, Hungarian thermal water, hyaluronic acid and the mineral silicium. “A complex of amino acids, natural emollients and humectants restore skin’s ideal physiological balance, boosting its ability to retain moisture all day long and providing a feel of instant comfort. Well, this definitely delivers on the hydration front and leaves my skin feeling nourished and with a healthy glow. I decided to test it by forgoing my usual selection of Cleansers and decided to wash my face with a bar of ever reliable simple soap, which although gentle still leaves my skin taut and needing a quick moisture fix: slap some of this on and voila …happy skin!